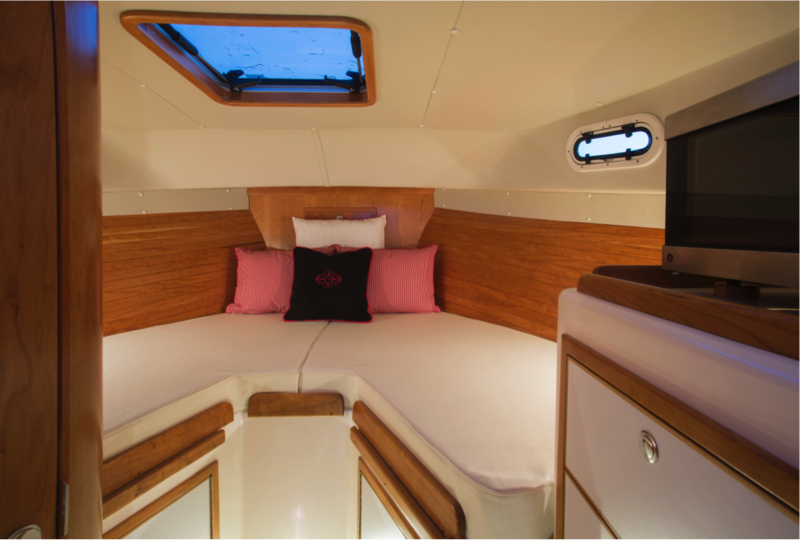 Custom-designed interior by Newport Yacht and Home on the True North 34 OE. The V- groove headliner, trimmed in cherry, adds to the design. A cozy corner to prop yourself up with custom pillows. A perfect balance of bold color and classic style. Creating comfort with customized cushions and mattresses. Newport Yacht & Home is proud to have added to the success of the award-winning True North 34 OE with custom-designed soft goods, cushions, cabinetry, and surface finishes. Our goal was to create a unique look that was bold in color and pattern, but classic in style. Together with the builder, US Watercraft, we found that balance. 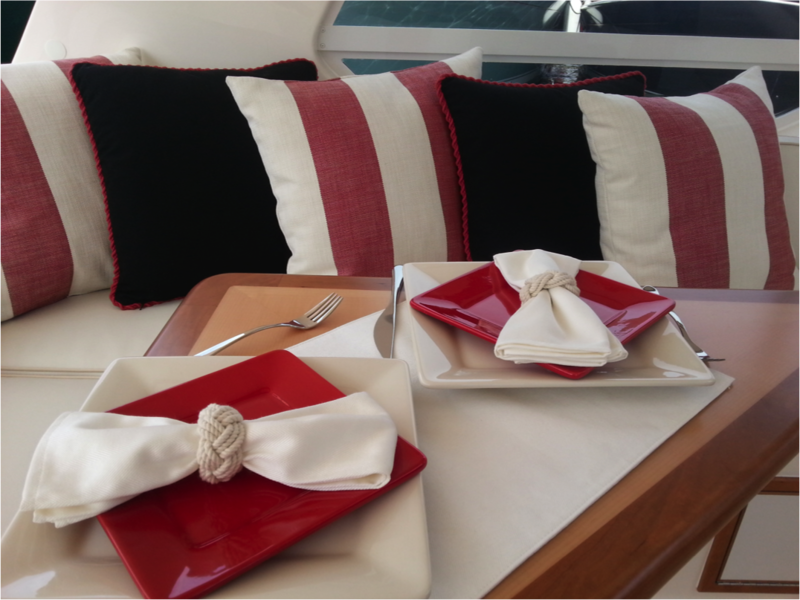 The designer outdoor fabrics which we used brought a fresh element not typically seen in a boat of this size. " I wanted to give this model a high-end, sporty look, emphasizing comfort, functionality and beauty. 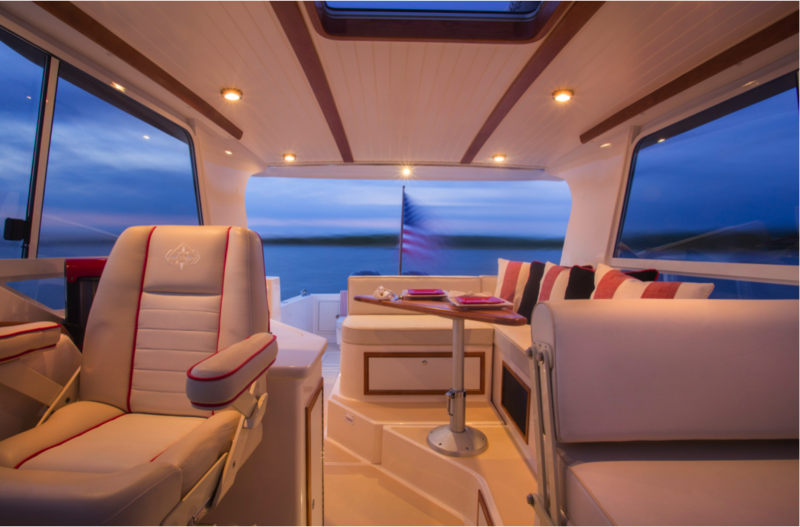 You will not find any vinyl on this model," says Cheryl DiGennaro, designer and owner of Newport Yacht & Home. "Some of the design details incorporated are the same I have used when designing for Superyacht interiors." 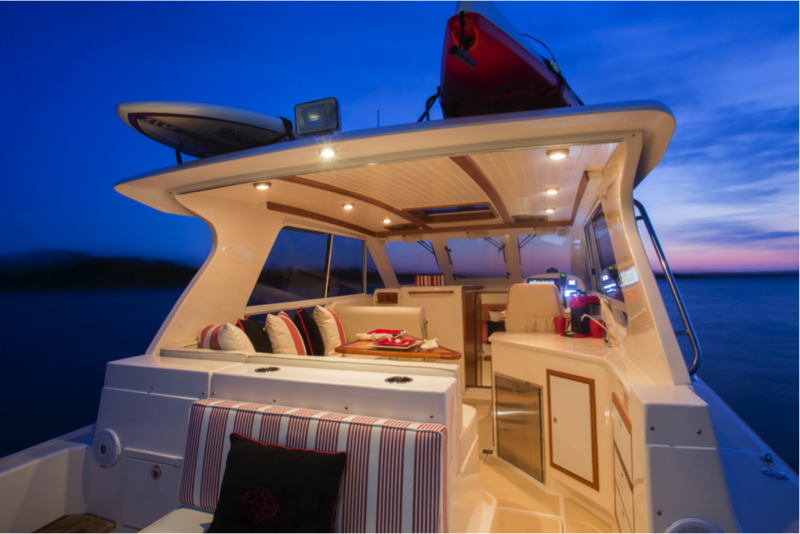 The True North 34 OE caught the eye of many at its debut at the 2014 Newport International Boat Show, where it was awarded "Best New Powerboat over 30'". 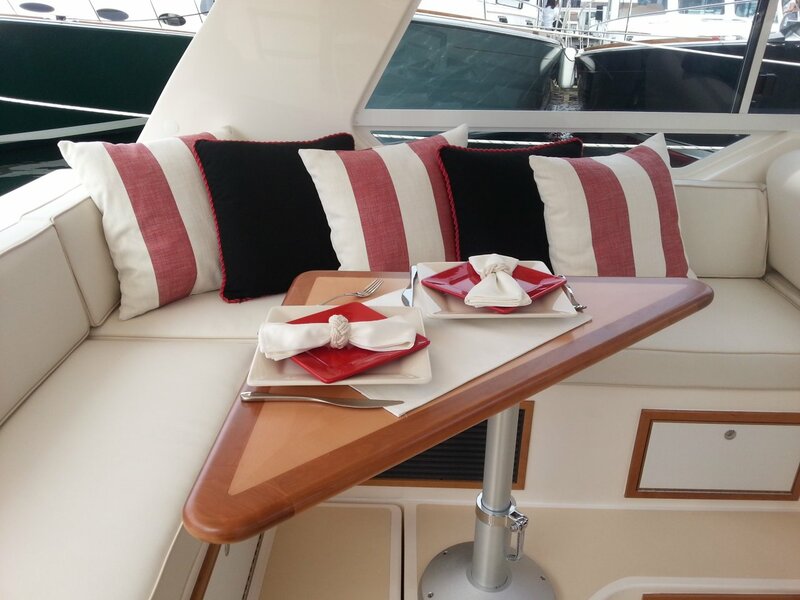 The collaboration of US Watercraft and Newport Yacht & Home proved to be a great success!